Lanxess (formerly known as Chemtura) endeavors to encourage young people worldwide to develop a passion for science and chemistry at a young age in order to make them aware of the diverse career opportunities that these fields offers. Through the Lanxess education initiative in El Dorado, they have pledged $250,000 over the next 5 years to sponsor STEM programs in Union County schools. The Smackover-Norphlet School District was awarded a $12,465 grant from Lanxess specifically for the purchase of refill kits for four PLTW LAUNCH modules per grade level and engineering notebooks for all kindergarten through fifth grade students at Smackover Elementary School and Norphlet Elementary School to support the successful implementation of the Smackover-Norphlet School District’s elementary STEM program. The grant money effects over 500 elementary students in the Smackover-Norphlet School District. 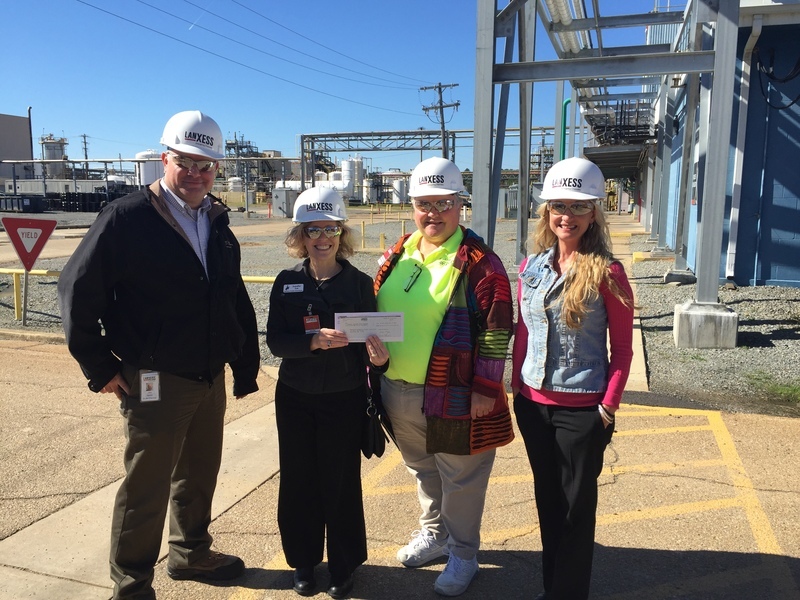 Presenting the check on behalf of Lanxess are Lanxess Site Director Joey Hamlin and Public Relations & Land Development Manager Kelly Herrgesell. Accepting the check on behalf of the Smackover-Norphlet School District are Curriculum Director Jennifer Lee and Engineering Teacher Tami Philyaw.